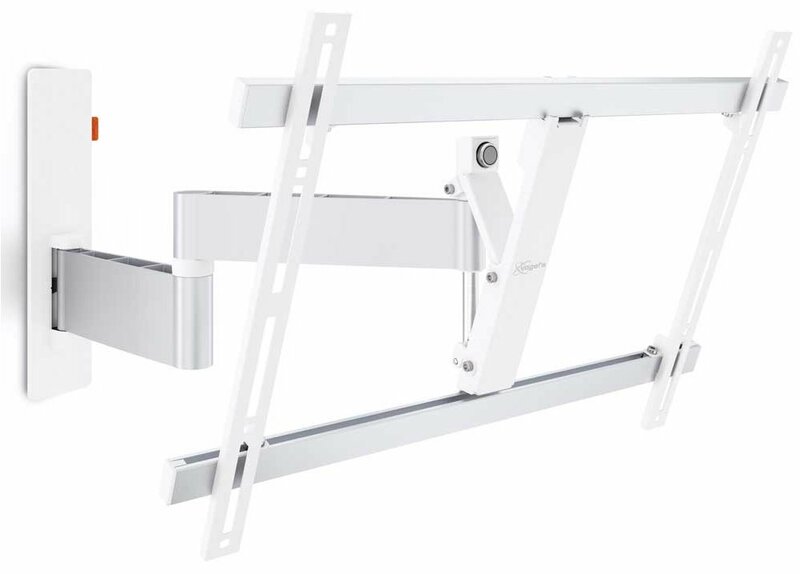 Vogel's WALL 2345 white swivel TV wall mount is a perfect addition for your home cinema or for a touch of luxury in your master bedroom. 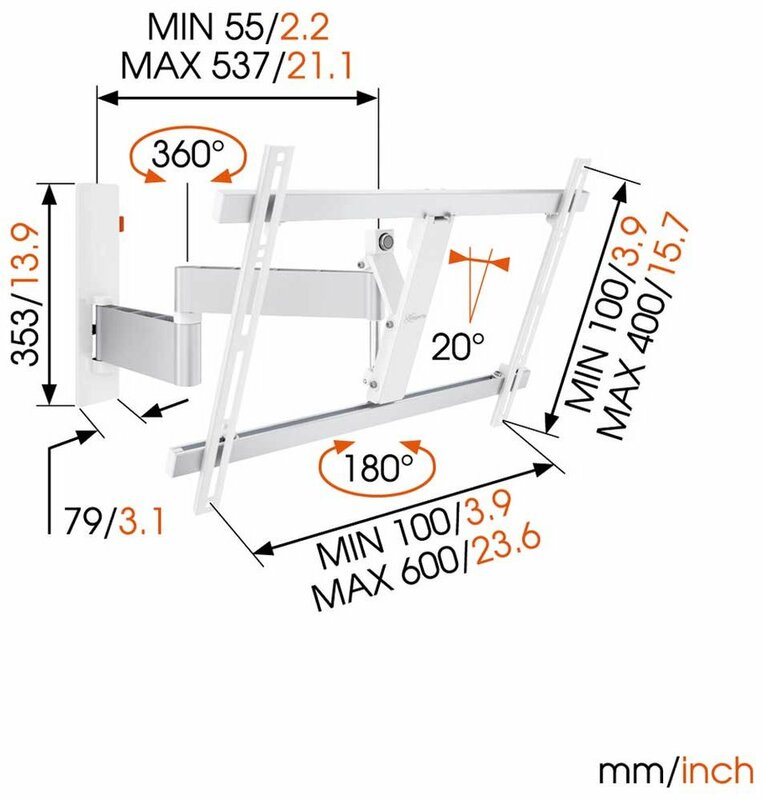 This mount has been carefully designed to glide smoothly in a 180° turning angle (90° right and 90° left), and tilt up to 20° forwards to avoid glare. 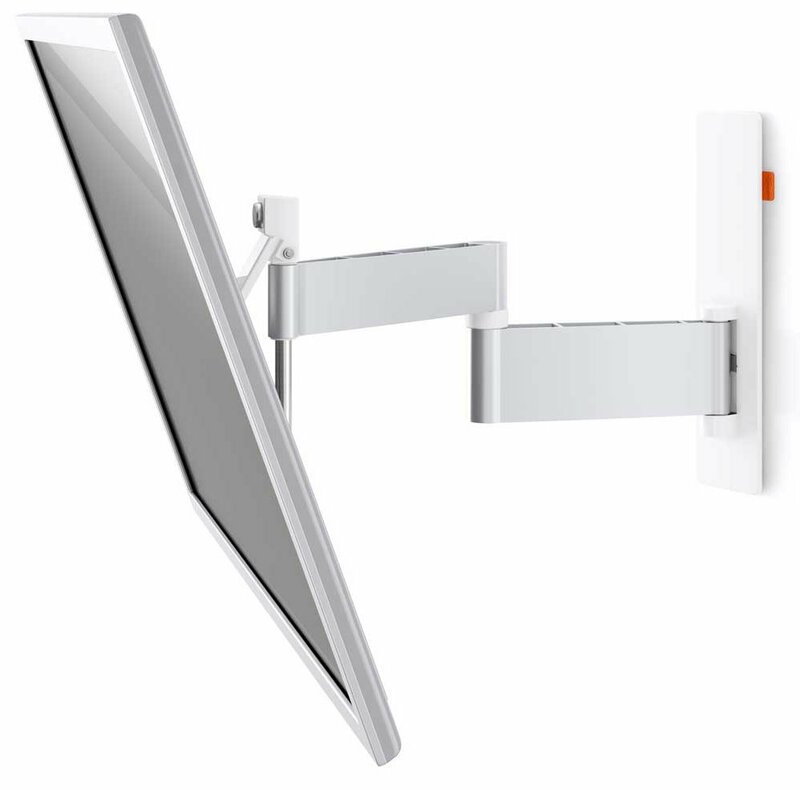 Give your home that something special with a wall mount from Vogel's. TV Size 40" to 65"